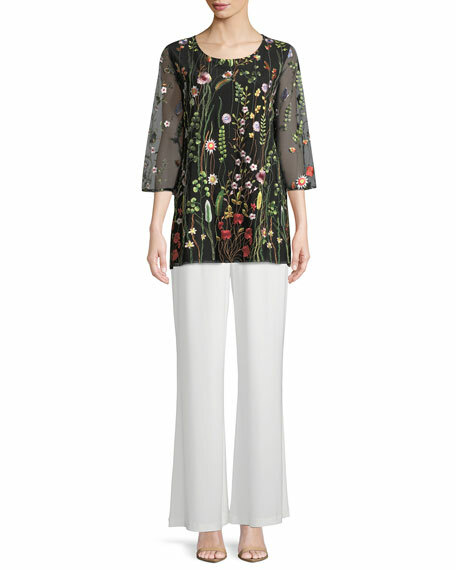 Caroline Rose "Garden Walk" layered tunic with floral embroidery on mesh. Caroline Rose stretch-knit jersey pants are comfortable and wrinkle resistant. Approx. measurements: 17.3" rise, 30" inseam, 42" outseam, 31" leg opening. 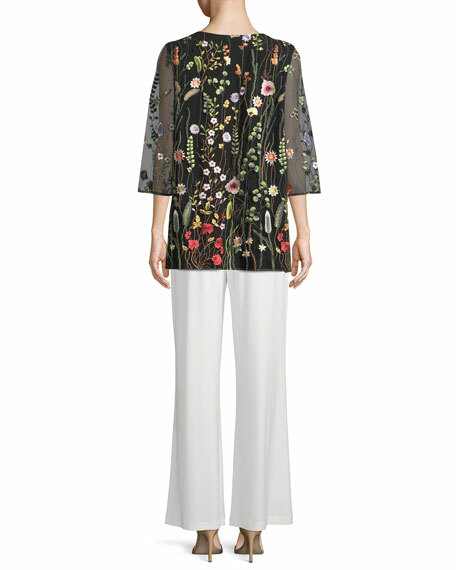 Pants are cut fuller for an easy, graceful, no-cling fit. Polyester/spandex; dry clean or machine wash, cold.